Leon Goretzka is one of the hottest prospects in Europe this season and with the January transfer window open, rumours linking the midfielder with a move to several European giants have been rife. Recent reports in Bild and Marca suggested that Goretzka has already signed a pre-agreement with Bayern Munich. 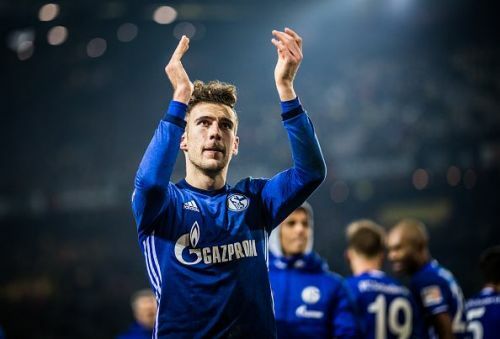 However, Schalke CEO Christian Heidel and Bayern manager Jupp Heynckes have all denied the reports with Goretzka's agent Jörg Neubauer revealed to Sport1, "When a decision has been made, Leon and I will first inform Schalke." Things took another exciting turn yesterday when Goretzka's social media activity sparked further rumours. The German star 'liked' an Instagram video by Visubal. The clip showed Liverpool manager Jürgen Klopp punching the air in delight, accompanied with the caption: "Jürgen Klopp Passion!" So, who is Leon Goretzka, the midfielder courted by Bayern, Liverpool and even Barcelona a few weeks back? I decided to take a low-down on the Schalke star and chalk out five things you probably didn't know about German star. Leon Goretzka may be on the cusp of a move to one of the European heavyweights but that doesn't stop the German from religiously following his childhood club VfL Bochum. Growing up in the Ruhr area, five minutes away from the club premises, Goretzka still holds a season ticket with the club he first followed as a fan, before joining at the age of six and, debuting at 17. What about his time at the club? How good was he? Those who watched him closely, have only words of praise for the youngster. "I have never seen an 18-year-old who has so much class and desire. The boy will be one of the world's best!" former Bochum sporting director and Hamburg's current director Jens Todt said. "He's Germany's biggest talent in 50 years," added an effusive Peter Neururer, Bochum's manager at the time. “He was the best young player of Bochum, because of his talent but also of his down to earth attitude, so we are very proud of him,” former club captain Marcel Malritz said.